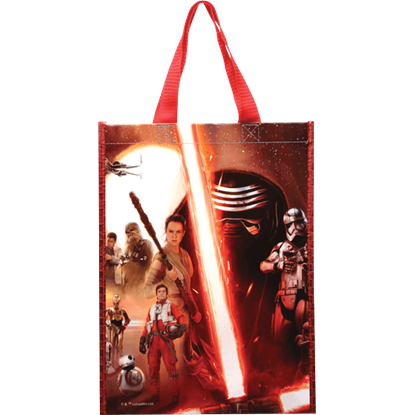 Show everyone that you are a fan of the space opera franchise Star Wars by wearing or carrying one of these licensed accessories. 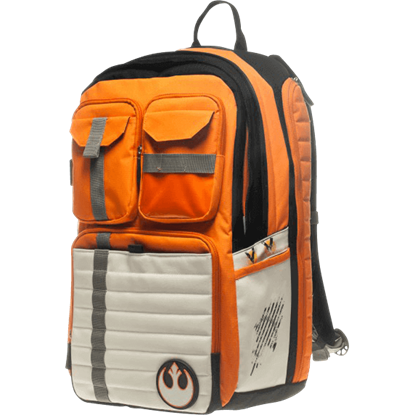 We offer a variety of hats, bags, wallets, beach towels, and more, each depicting characters, logos, or vehicles from the galaxy far, far away. 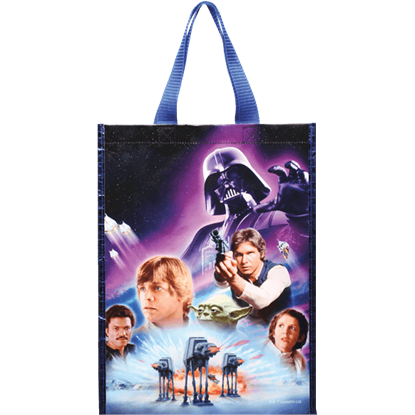 Use the Star Wars Small Insulated Shopper Tote to keep your frozen groceries cold on the drive home from the store. Declare your allegiance to either the Galactic Empire or the Rebel Alliance when you carry your cash and ID in one of our Star Wars bi-fold wallets. If you have a fondness for the old bucket of bolts, you can carry your keys with a miniature version on the Star Wars Millennium Falcon Keychain. Wear a snapback version of Captain Phasmas chrome dome, inspired by the First Order stormtrooper captain in The Force Awakens. 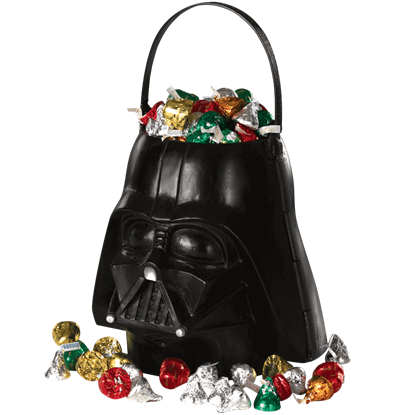 Whether you love the classic movies or have recently come on board with the new generation of films, we offer a growing selection of accessories that any Star Wars fan is sure to love. Keep checking back, as we add new styles as they become available. 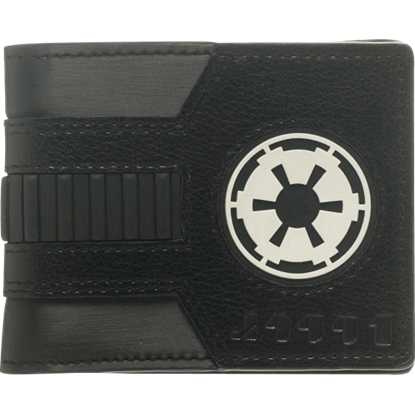 This Rogue One Death Star-U Wing Split Logo Bi-Fold Wallet displays the schematic of a U-Wing fighter ship from the Rogue One film on the front. 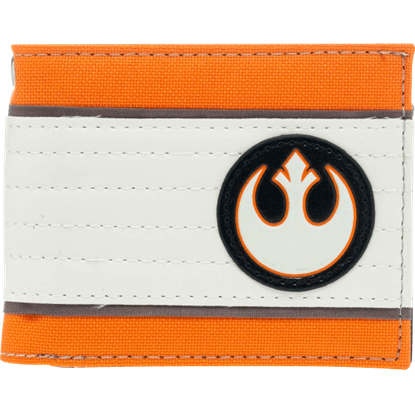 The Star Wars Rebel starbird logo is sewn so that it wraps around the edge of the wallet. Emperor Palpatine transformed the Galactic Republic into an empire by manipulating members of the Republic Senate. 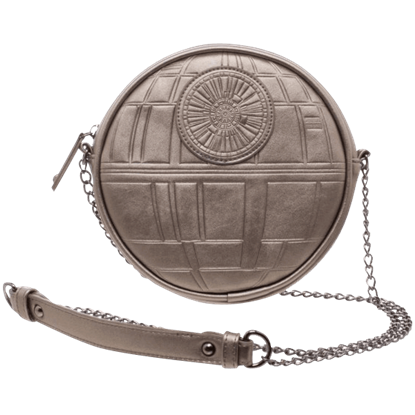 This Rogue One Galactic Empire Chain Wallet displays the spoked Imperial crest on top of a textured grey background. 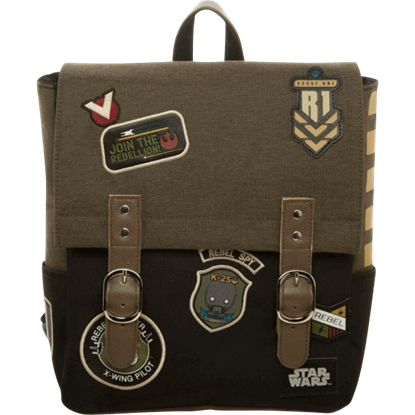 When you need a place to stash Imperial schematics, reach for this Rogue One Rebel Jyn Zip Around Wallet. 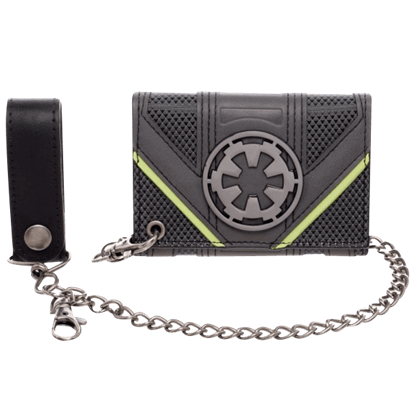 This eye-catching wallet is made from black and khaki fabrics, emulating the outfit worn by Rogue One protagonist Jyn Erso. The Force Awakens introduced several new characters to the Star Wars franchise, including the adorable astromech droid, BB-8! 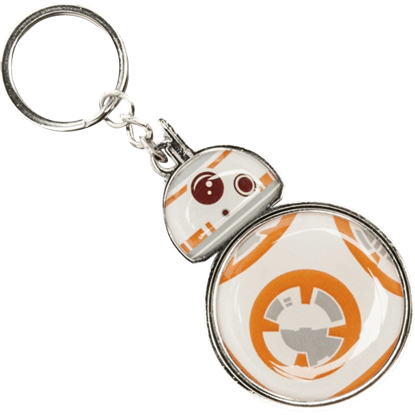 The Star Wars BB-8 Keychain displays the round body and dome head of the white, silver, and orange droid. A terrific means to store your cash, identification, credit cards, and more, the Star Wars Galactic Empire Bi-Fold Wallet is inspired by the Star Wars films and features a sleek and eye-catching Galactic Empire theme. 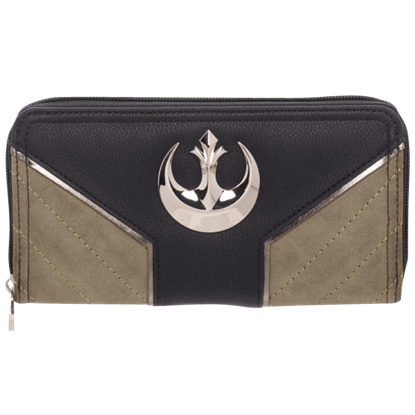 Crafted to provide the stylish storage of your credit cards, identification, cash, and more, the Star Wars Rebel Alliance Bi-Fold Wallet features an eye-catching design inspired by the heroes of the Star Wars films.